The coldest West Midlands job? 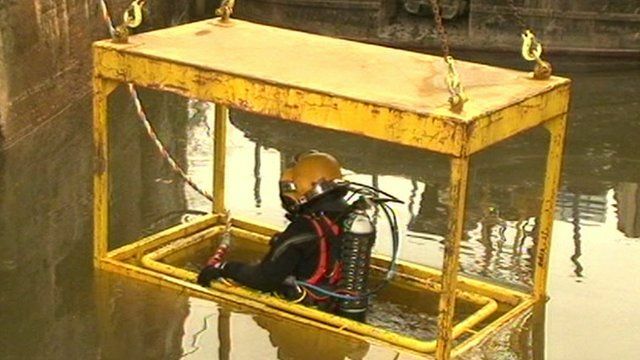 Divers have been plunging into the icy waters of the River Severn in Worcestershire to repair a broken lock. The new lock gates at Holt Fleet were installed on behalf of the Canal and River Trust.